A SIP trunk is a new technology that allows a business to replace it’s existing analogue or digital telephone lines with a data connection. Once connected a business can continue to operate in the same manor as before with no changes to it’s telephone call handling. SIP Trunk calls are carried by both VoIP (Voice over Internet Protocol) and the traditional telephone network. What are the benefits of using SIP Trunks? SIP trunks are able to provide a business with many benefits, the most common, and perhaps the most important of which includes a reduction in on-going phone costs. SIP trunks are provided at a lower rental charges than other standard analogue or digital telephone lines plus have the added benefit off routing calls off the traditional phone network providing telephone call savings, particularly if businesses operate across different sites as these calls are often provided free. 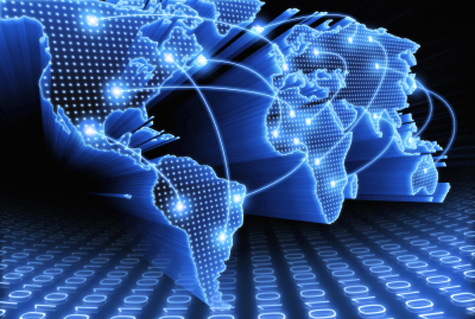 SIP trunking also has the benefit of being able to operate without geographic telephone number constraints, area telephone number codes able to function freely in any location where a data connection is available. With Maintel SIP Trunks - Gamma SIP trunks customers benefit from free minutes to UK landlines and UK mobiles(1) creating further savings.